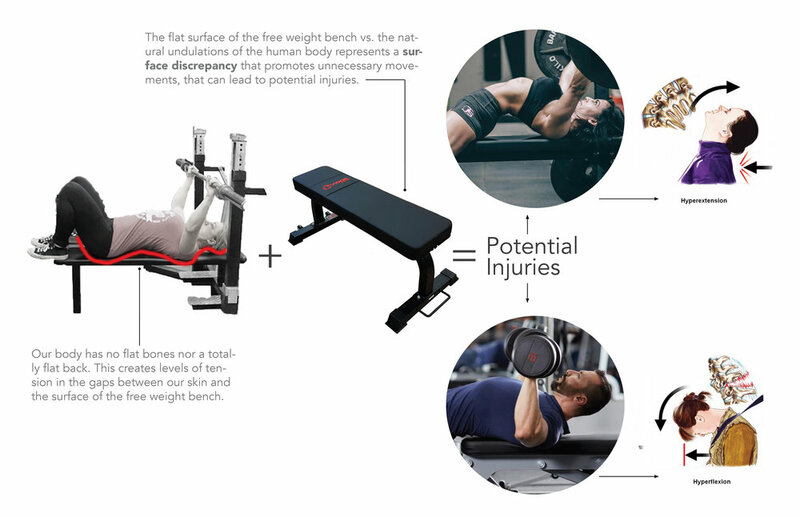 Adjustable gym bench to lower the risks for injuries, and engage a better exercising experience. Graduate Master in Industrial Design Thesis. PRATT Institute, New York City, 2018. Since when did flat furniture became the standardized model for mass production? What are the effects of exercising on a flat surface, in relation with our natural, undulating body structure? Field study sketch, NYC (2018). 3d print and wire models gestural study. Small scale welded model to study the structural components, mechanics, and over-all relationships.